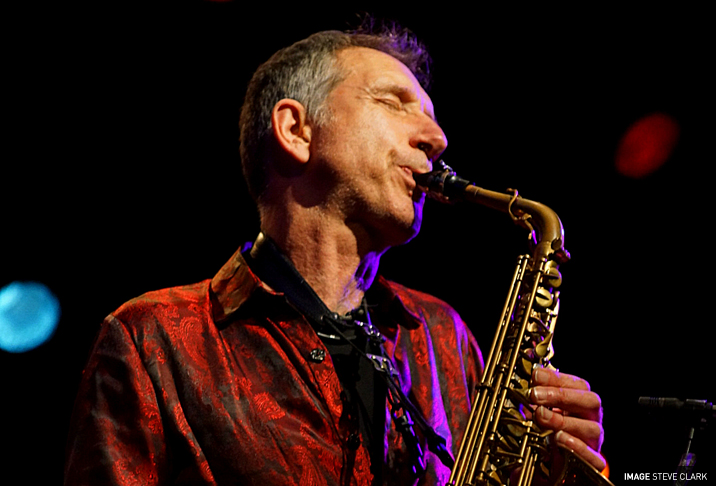 Snake Davis has played with some of the biggest names in contemporary music. He's had a long collaboration with Heather Small of M-People, toured the world with Lisa Stansfield, Annie Lennox and Dave Stewart and played with James Brown, Paul McCartney, George Michael and Tina Turner to name but a few. He wrote the iconic sax solo on Take That's hit record A Million Love Songs. So that means he's really rich, right? Actually, he was paid as a session musician and famously earned the equivalent of £18 for his contribution to the single, which is regularly voted one of the most romantic love songs of all time! Sax is the favourite instrument for many folk, and for good reason. Saxophone, in the right hands, is so emotional, so passionate; it sings, screams, whispers. Snake Davis is one of the world’s most respected and in demand saxophone players, working with some of music’s biggest artists such as, Eurythmics, M People, George Michael, Take That, Cher, Tina Turner and Beyonce. On the road with his 4 piece band, Mark Creswell, guitar, Eryl Roberts drums, Simon Goulding bass, a wonderful mix of soul world funk and jazz, always melodic, always soulful. Featuring the haunting Japanese shakuhachi and Irish whistle along with saxes there’s something for everybody.